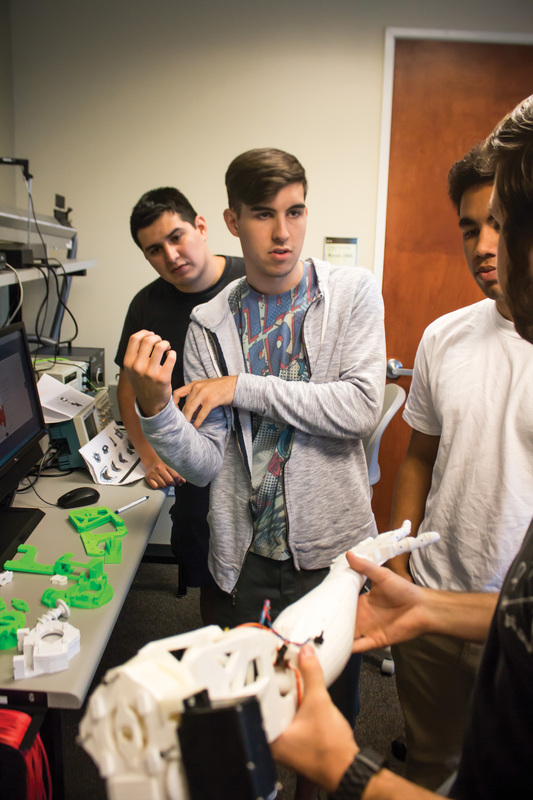 [Robert Jordan | Banner] Mitch Maxwell, freshman biomedical engineer, works with fellow students on building a functional robot arm. The arms are made with 3D-printed material. This year, introductory level students of the Gordon and Jill Bourns College of Engineering are already ahead of the curve as they work in teams conducting research and building functional robot arms. 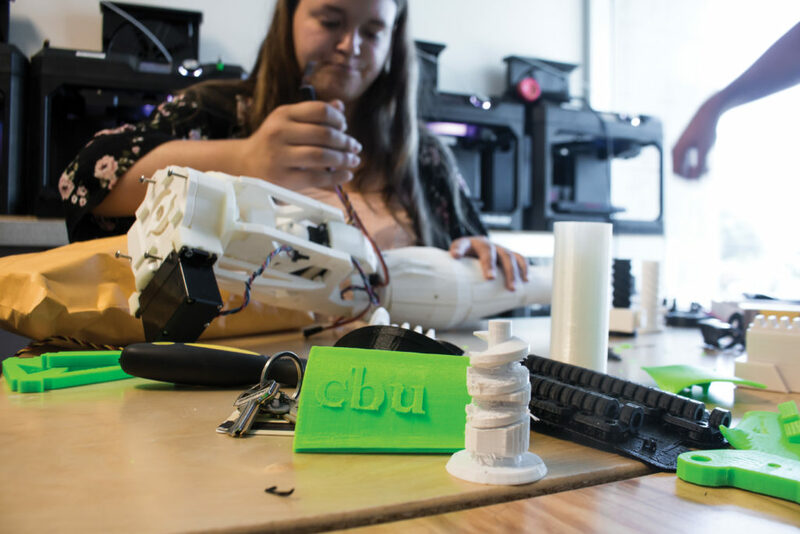 Students enrolled in EGR 101, Engineering Christian Worldview, are getting hands-on experience with 3D printed pieces, motors, wires and circuit boards. Even though they have not reached their finished product, students are already succeeding in recognizing the benefits of this project. Although most students might want an introduction-level course to be easy, the students involved are accepting and say they are excited for the hard work that is going to be done in the class. While working on the project, students are learning more than computer programs through facing real networking problems, making them feel like they are working in the field. Noah Jackowitz, sophomore mechanical engineering major, is enjoying the problem-solving aspect of the projects and how it is enhancing his education through challenging him to think, learn and act accordingly to each task. While the students work together building robot arms that will demonstrate gripping, wrist rotation and elbow and shoulder movement, they are also building a strong foundation for their future in the world of engineering.